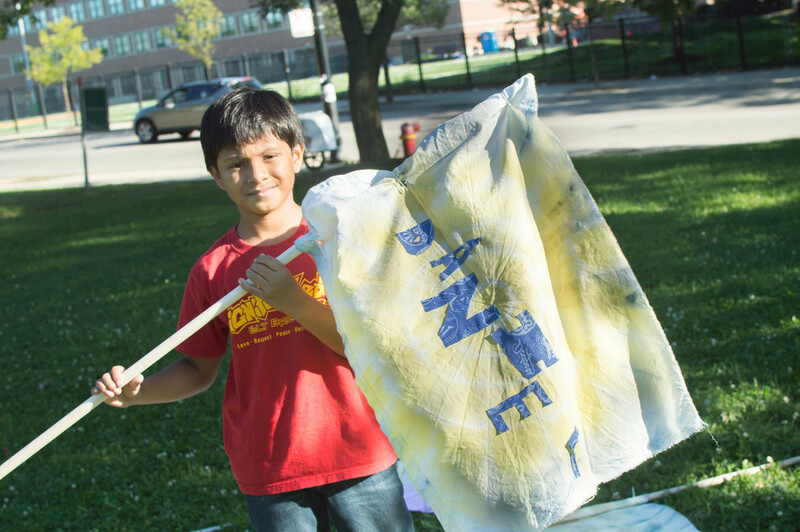 September: Opera-Matic produced a flag making workshop as part of the Armitage Arts Festival. 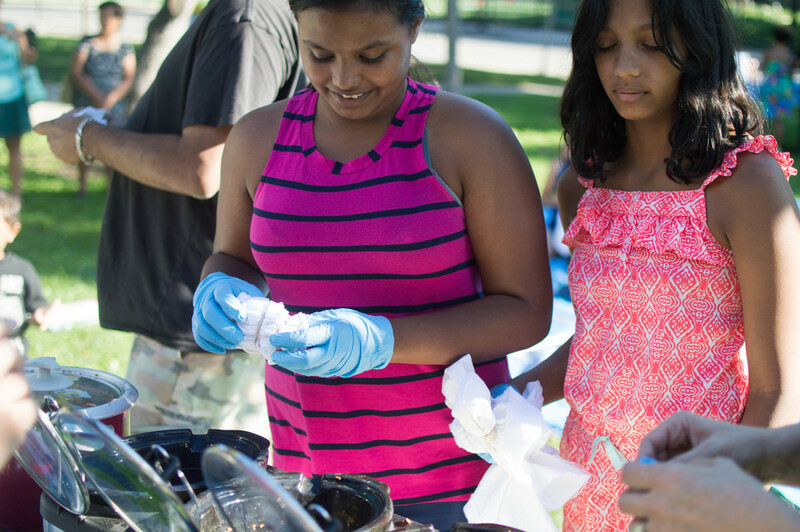 We provided dyes and fabric and left it to each individual to reveal their creative personality. 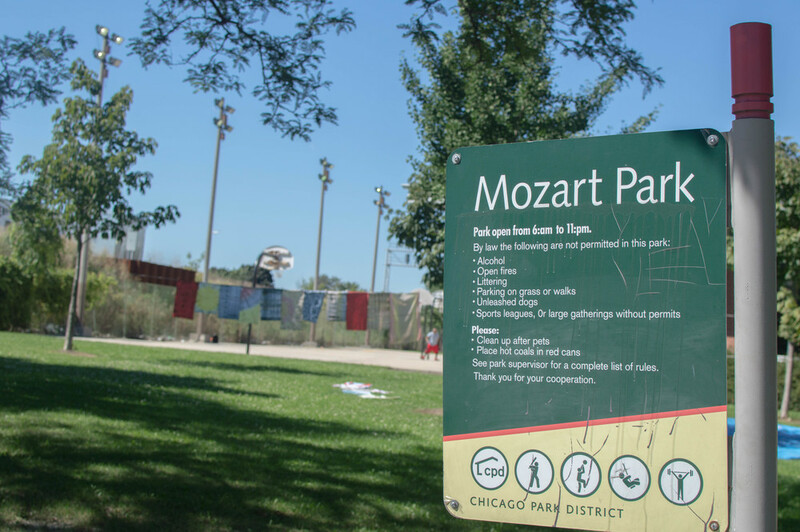 The result was a varied display of colors and patterns unified by format and the beautiful environment of Mozart Park. After the dye dried, Erin Kilmurray shared some moves while Daniel Villarreal shared the grooves. 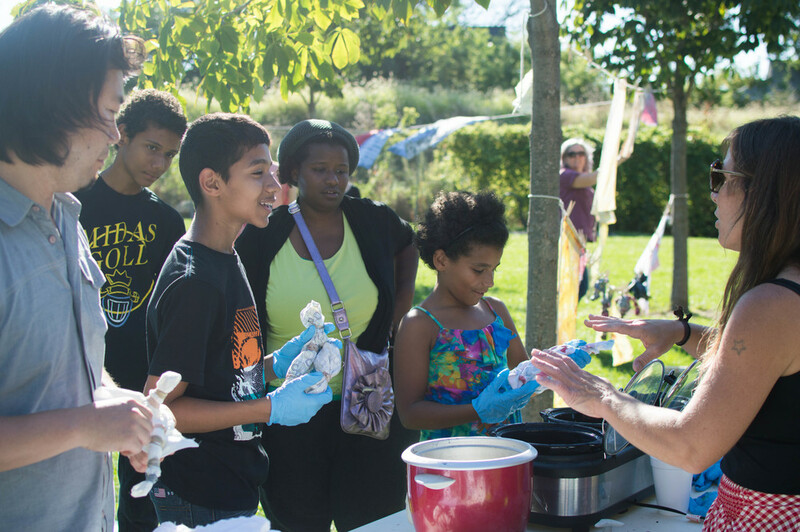 On Saturday August 23rd, Kite Collective taught our Opera-Matic artists how to dye fabric using ingredients such as black walnut, beets, turmeric and indigo. On August 27th, Erin Kilmurray lead us in flag formations in our parking lot for a rehearsal Flag making workshop at the Armitage Arts Festival on Saturday, September 6th.